"Slow soft evolving excursions into Drone-Driftology." "Album of the Year (1999)." "Ambient Album of the Year (1999)." "One of the finest pieces in our genre." "Top 10 of the Year." "One of the best of 1999." "Best of 1999 (honorable mention)." "Whoa! Altara is incredible music!!" "Altara is very great indeed -- perfect for long mesmerizing drives, time suspensions, and getting in touch with underlying realities." "Maybe there's some connection between the titling of this disc and the name of both the Anne Francis character and her homeworld in the SF epic FORBIDDEN PLANET. Like the spooky, otherworldly environs of that fictional interstellar body, ALTARA also conjures up images of far-flung places, worlds orbiting in a vacuum, the chasms between oblivion and eternity. A Produce has already built a formidable career working with everything from minimal ambience to fourth-world musics; Griffin has been busy running his superb Hypnos label (from which ALTARA originates) and finding the time to lend his own creative muse to various projects. 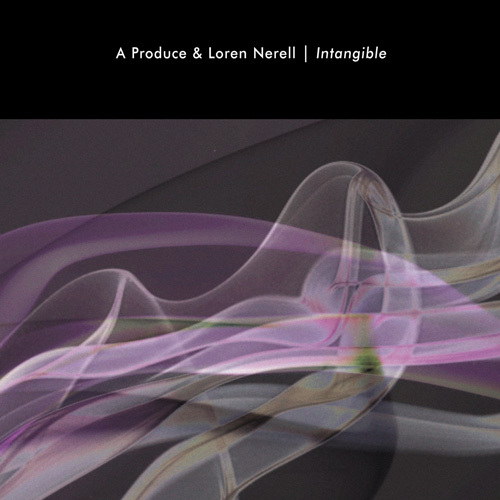 Together, these two have produced an utterly involving piece of proto-ambient music. "Overground" takes a series of small tones and stretches their tonalities to the verge of infinity. "Diffusion" is an investigation into the subterranean depths of the synthesizer, ripping out broad expanses of dark color, submarine pings, and sounds the equivalent of sudden novas. The epic "You Send Me the Message" rivals even Brian Eno for understated brilliance: tiny tones shift, coalesce, and unfurl like evolving stars, eventually collapsing under their own immense gravitational forces." As a piece of work that utilizes hardly any form of recognizable musicality, Altara emerges as a meditative exercise in abstract composition. Collaborators A Produce and M. Griffin present a collection of minimally-structured pieces that force the listener's perception in an intentionally visual as well as sonic direction. Being essentially amorphous "sound-paintings", and being analyzed in much the same manner as abstract visual art, the five tracks that comprise Altara are wide open to personal interpretation. This engages the audience in a gripping search for meaning not quickly to be settled. A theme of intensity surrounds the work and injects each of the refined pieces with various moods of urgency, apprehension and ambiguity. This music is as aesthetically intriguing as it is thought-provoking and the seemingly simple nuances of Altara are fascinating at times. The result of these features is a manifold of convoluted technical substance and subjective mental embellishment/interaction on the part of the listener. If the separate works of Altara were to be contained within a gallery space, we would see one room that holds the first four "paintings", each painting being more visually complex than the last, beyond which would lie a second room intended for an installation piece. Acting as a dramatic prelude to the installation, the paintings stand as individual, but related, expressions. Upon the first wall hangs Overground: a gestalt mass of alien soundforms, fringed with an electric rumble scattered around and between a morphing heart of harmony. After an 8 ½-minute viewing, the slowly changing light of Overground remains just as encoded as when it came into focus. We move past those yearning strains and take position in front of Altara, the shortest and most abstract of the collection. A rapid growth €¦a series of crescendos and dark rifts €¦a mysterious drama. Vivid and painterly multicolored planes of vibration throb with impulsive intensity. The third piece, Diffusion, is a slowly evolving coalition of fields that resolves in a tangible core of sound around a beacon-like noise. The image is smeared, erased, twisted and warped at random in a gut-clenching effect. The core's surface is seemingly penetrated at moments by the sound trapped within, the thin membrane momentarily rupturing and allowing stifled harmonics to escape. This is as close to sculpture as these five pieces come. Stepping out of the mental heat of Diffusion we encounter the final painting, Seek Nothing. This title is ironic given the fact that this piece contains the most definite aesthetic elements and offers the most for the onlooker to hang on to. As though echoing from a distance, thin clouds of sound meld with whispers of acoustically resonant strings. An entire sonic landscape opens, illuminating a smoking sunset portal of ethereality. Half-heard drums pitch erratically amidst a storm of quasi-melodic scintillance and massive arcs of sweeping noise. Spiraling shrieks ascend and descend periodically and the horizon is lit with harsh stuttering bursts. A far-off look into the turbulent planes of meditation. For an entirely different experience, we leave the painting room completely and enter the installation space. You Send Me the Message is a work that eliminates the visual assault of the paintings and instead accentuates the mental contribution of the listener. Beginning and retaining a panoramic atmosphere, this piece suspends us in the midst of black space and surrounds us with a recurring selection of sparse compositional motifs. Space and time seem abstracted here. Is this a massive space or is it the world on a microscopic scale, with miles between molecules? Strange things begin to happen in the dark: portions of the distance pour into the foreground, sounds bound between unseen walls, obscure information filters in from distant locations. The illusion of foreground dissolves as both channels are filled with a surging entity of raw sound. Much time is spent in this cryptic environment. But is the Message any clearer? At the end of 1999, M. Griffin and the Hypnos label remain devoted to engaging the audience in a powerful mental dialogue that only shows signs of deepening. Altara is one of the most challenging and cerebral works I've yet experienced from the Hypnos library, and assuredly the future will bring a continuing evolution of this musical intellectuality, rewarding the analytical listener with bounteous private pursuits." "On their joint collaboration, Altara, ambient pioneer A Produce and Hypnos label head (and sometimes artist) M(ike) Griffin head straight for the outer rim of the galaxy and the inner sanctum of the human psyche. The five cuts that make up this album are more like passing shadows and evening fog banks than music, and that is not necessarily a bad thing. The occasional lack of even a melodic drone does not hinder the impact of this music. However, it does necessitate two things. One, you need to either play Altara fairly loudly, or you must listen to it in the almost complete absence of background or foreground noise. The subtleties of this recording are its heart and soul. A shimmering synth here, a brush stroke of timbre there, and a vague sense of desolation and isolation permeate this album. Normal descriptions of this music are, in a way, pointless. There were probably any number of 'reprocessing and treatments' that M Griffin (per liner notes) applied to A Produce's synths and samples. Suffice it to say that the music on cuts like the opening "Overground" is very deep formless ambient and/or semi-dark spacemusic. Bell-like reverberations, lower register synths, and vague undertones come and go. "Altara" begins with an almost palpable humming sound, like the muted vibration from a plasma or ion drive engine on a starship, filtered through the massive bulkhead that separates the drive system from the crew's quarters. Higher toned sounds pulse with a cyber-organic lifeblood. Sometimes the pulse grows loud and even drones with a electrical/mechanical energy, as if the machinery was being driven to an overload. But despite this description of Altara, I would not use the word 'noir' to describe the music. This is not dark ambient, per se . Yes, it has the essence of darkness (a la deep space) and even brings to mind the feel of shadows. But the emotional context is more ambiguous than that. Ultimately, the mood is one of unending questioning and even puzzlement. It’s the musical equivalent of an insatiable desire to explore beyond the normal boundaries of everyday life. Yet, the CD it is also not pointlessly pretentious. In fact, by being so overtly minimal, A Produce and Griffin avoid any sense of "aren't we cool" that could easily creep into a recording that stresses mood and nuance over melody or structure. Even on the vaguely rhythmic "Diffusion" (which sounds the most like an A Produce solo cut to my ears), the presence of the deep bell-like tone seems to reinforce the floating nature of the song, instead of detracting from it. This song also has more of a foreground presence to it as well. The last cut on the album is the over thirty-minute long "You Send Me the Message." Trying to encapsulate descriptive comments about a song this long into a cohesive critical statement is tortuous and somewhat silly. No song (at least very few) that is stretched out to this degree can completely avoid sounding too long, after a fashion. But if you consider that a song like "You Send..." is an auditory example of McLuhan's "The Medium is the Message" than the astute listener can overlay a transparency on the drones, hums, washes and noises resulting in a philosophical statement. In fact, is probably less about what the music actually is than it is about what the music conjures up as both active visualization and as metaphor. In its drawn out patient undulations, "You Send..." is an interpretation of how communication is not always direct or even indirect. Some communication occurs as part of a psychic or emotional undercurrent. These messages are usually muted, vague and yet drive us toward goals and purposes anyway. Not everyone will hear these heady concepts in Altara (and I could be completely off-base on my analysis). Certainly the idea that a CD is less concerned with structure and melody is nothing new. That this type of ambient music is at times beautiful and chilling is also nothing new. However, Altara ultimately satisfies both the cerebral and the emotional in a unique way. It purposely avoids dark ambient cliches and, if not strikingly original, its execution is so artfully realized that it transcends it superficial limitations and succeeds by being an excellent exploration of minimalist ambient music. While I did not 'enjoy' Altara in the same way I do the work of ambient artists like James Johnson, Stephen Philips or newcomer Matt Borghi, I do admire its bold direction and its vision. 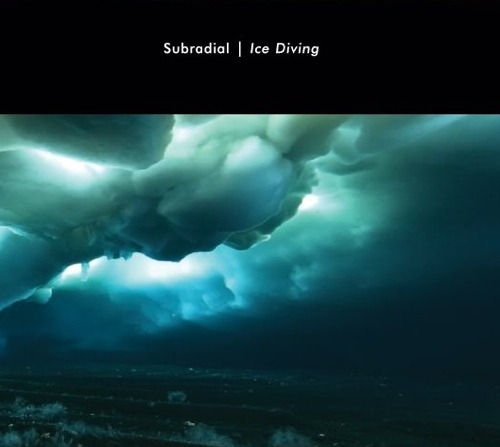 Recommended for fans of very deep spacemusic and minimalist ambient." "Utterly superb. It's been glued to my CD player since I got it Monday. I am particularly a fan of the deep and dark ambient stuff, and last night Altara was on inifinite repeat." "Altara... words are a low mileage vehicle for this one. Altara is a modern masterpiece. 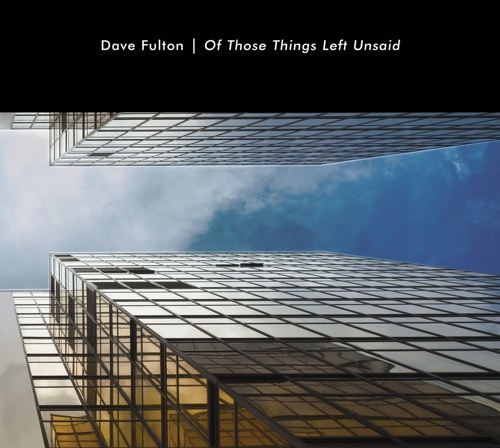 At first I took it as a kind of sparse and far-out, but after more than six-months of almost daily listens I began to view it for what it truly was an original and provocative contribution to contemporary music. Beyond A Produce and M. Griffin's significant contributions to the Ambient/Spacemusic genres this record is truly original. This is the new face of Minimalism. Forget about Reich, Glass, and the academics making music that's more interesting than it is fun to listen to, this is what it's about, this is where it's at. This is the new Minimalism. I think the thing that I love most about this recording is that it strikes me as the organization of sound on its most fundamental level. Any forms, theories, or philosophies that have been applied here are untraceable, that's the greatest aspect, it's like a beautiful, contemplative, and serene mass of sound. Great record I hope that these two get together again... soon!" In the early 80's the enigmatic A Produce founded the Trance Port label to release cassettes of burgeoning trance music on the West Coast. The out-of-print LA Mantra tape series covered much of the early trance work coming out of the Basin. He then let loose with a few of his own releases, and recently teamed up with Hypnos Recordings artist/founder/website designer, M. Griffin, to create Altara. The usual buzzwords have come up in vain critical attempts to describe the Hypnos sounds: ethnoambient, electronic, New Age, and space music. Yes and no. Hypnos directs us to file it under ambient, but Altara goes even further, manifesting images for the auditory canal with drones, harmonics, shifting tones and textures, and assorted subsonic thumps. A Produce handles synthesizers and samplers, whilst M. Griffin provides samples and "reprocessing and treatments." Heady names such as "Overground," "Diffusion" and "Seek Nothing" encompass the mind and soulsets that come from these amazingly natural-sounding sonics. While none of the aforementioned can be considered short, the closer "You Send Me the Message" clocks in at a hefty thirty-seven minutes -- but it's so smooth and enveloping, you need not notice the passing time." "M. Griffin and A. Produce have joined to produce an excellent ambient album titled Altara. This is their first collaboration, one that needed over 18 months of hard work. 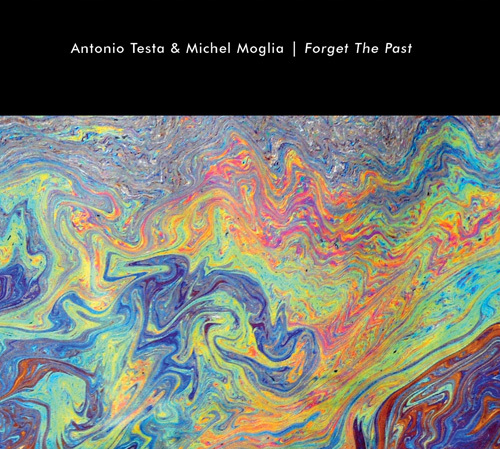 Both artists are well known in the electronic trance/ambient and ambient/minimalism scenes, and their album combines the best from them. Curiously, they have not meet face to face yet. The CD has then followed a very special evolutionary path. The results are good: five tracks, including the last one (over 36 minutes of slow-evolving melodies and sound textures). 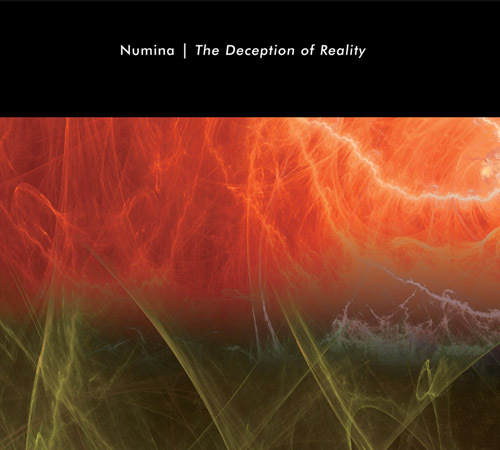 People who like experimental ambient will find this album very interesting." "From the initial start of collecting (what used to be referred to as Import) music there always seemed to be a particular label that fit perfectly in relation to what was going on in the cutting edge of Musique Nouvelle. They had, it seemed, the pre-eminent artists, excellent sonics and pioneering packaging, comprising the Trinity of what encompass' a brilliant release. In the early Eighties, Private Music were the sovereign company - the listener assured that each and every recording was worth adding to their library. Soon, Erdenklang filled the void, eclipsing Private Music in almost every conceivable consideration. The list goes on with Extreme, and other labels subsequently filling the shoes of the previous dominating corporation. Lately, Amplexus and Hypnos seem to running neck to neck as of the fifty or so combined recordings we've heard not one has been an appalling choice. The dissimilarity is that Hypnos focus on Ambient where as Amplexus, with releases such as "Solar Clowns" attain to entirely different styles. Amplexus with its attractive packaging, limited editions, and state-of-the-art sound produce a 'Best Of' for our blanket "Musique Nouvelle" category. Hypnos, on the other hand, are the absolute of "Ambient" That is not to say that thousands of releases from other companies are not comparable, only that you needn't read reviews or hear thirty second sound clips to enlighten one to the simple fact that a Hypnos CD is a worthy addition to your music collection. Money being a small problem with our upstart company we had been reviewing (for several print magazines) the best of what usually came from Charles at Soleilmoon. We still feel (although the promos trickle in slowly as compared to the deluge sent in the past) that Charles's operation carry the premium alternative music in the world. Out of nowhere, Hypnos sent a package to The Raging Consciousness Desk's East Coast office and blew the staff away. Each recording was just so perfect. Nice ECM-ish packaging, open dynamic sound - but most importantly - innovative music. That said each subsequent release has been a pleasurable adventure to listen. The latest issue played in the office is owner M. Griffin's collaboration with A Produce, Altara. This is what ambient is all about. Aside from the rock-solid production standard, the beat-less ambience is near perfection. I love many types of Musique Nouvelle, yet in the Ambient field find it hard to find CDs/LPs that do not have rhythm tracks - no matter how subtle - somewhere or a disturbing noise which breaks the trance. Altara, with it's rich, highly textured drones, mixed big as all outdoors (similar to Roach's Timeroom sound) sonics, quietly subdued, shimmering gong strikes and breathlessly distinctive special effects is the type of recording that make the listener happy for both a good purchase choice and (mostly) for the supreme art that was seemingly prepared for your ears only. This music is highly personal - music to travel deep within the sonic structures while assimilating all that is possible. For the most part Hypnos releases are of the multi-layered variety (no one-note drones here) as the layers are so numerous in Altara that counting the multi-melding tracks may be difficult. It shows the attention and care lavished on the work. There are, it seems, some artists that could have spent a bit more time refining the compositions before sending them out for pressing. In all probability, it may not need mentioning that any collector of true drone, ambient, or drift can go wrong with this, or any of the HYPNoS catalogue." 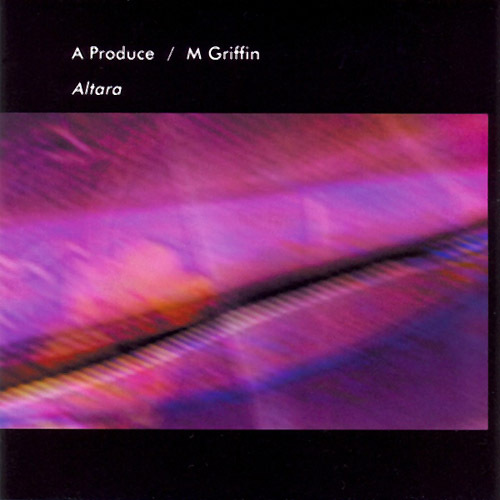 "Altara is the result of a collaboration between Mike Griffin and A Produce. Each artist is known for their individual style and accomplishments in the genre of Ambient music. On this new CD, it is difficult to distinguish elements of each's solo work other than the true Ambient nature of the music. Altara is a minimal, slowly evolving affair and deals with the effect of sound on the listener, filling space with sound and the points in time when the sound is perceived. The duo manipualte interesting timbres into drones that, when exposed to over time, one loses the sense of this dimension. The pieces vary in length but with no real beginning, middle or end the listener will consult the sleeve notes to be sure of the duration of each track. In the same way we contemplate the fullness of an empty vase, Altara occupies the listening environment." "It's been a while since I heard music by A Produce, who has a small output of fine tuned ambient music mainly on his own label Trance Port. Here he teams up with M. Griffin, who, if not sitting between his synths with the duo Viridian Sun, runs the excellent Hypnos label. In a period of seven months, they have been working on five massive ambient pieces. Each has a distinct character, either dark as in 'Diffusion' or the sharper edged 'Altara'. The CD finds it's culmination in the thirty-six minute epic 'You Send Me The Message.' Here ambient is at its best. You dive deep into an ocean, watch the dolphins, the colours of fish, the vegetation. Everything that makes life peaceful and beautiful. Perfect for late night listening, or (and I know various people who do) while sleeping." "I've been more interested lately in the experimental and quite minimal, frequently more avant-garde music, and so I too have been enjoying the work on Hypnos. Altara is a work which pushes the limit even further in this region as it's clearly one of the best drone works I have ever listened to. It's a truly mesmerizing and spatial work that clearly shows a healthy contribution from A Produce's synth textures and Mike Griffin's approach to sound. Its minimalism, depth and simultaneously complexity makes Altara for me a real joy to spend time with." "Synthesist M Griffin, half of the duo Viridian Sun, and trance-ambient artist A Produce come together musically for the first time on Altara, a unique and intriguing collaboration that is the result of repeated recyclings and processings of each other's work. A symbiotic interaction of darkness and light works its way into each of the five tracks on Altara. "Overground" and the title track lean toward the more minimal end of things, with expansive, deep ringing drones suspended in midair. The ominous "Diffusion" and the spacey "Seek Nothing" open up a bit, with a wider variety of sounds and a higher level of activity. We descend back into the depths, however, with "You Send Me the Message," a beautiful 36-minute tour de force of trance-inducing delicate stillness. Altara is an impressive first collaboration between two artists whose own work has already gained them significant praise, and is proof that the best results can often come from the interaction between two musical visions. " "Just got ALTARA today. Wonderful album! For those of you who haven't already done so, go check out ALTARA by A Produce and M Griffin. Dark, moody and wonderful." "I haven't yet been disappointed with a Hypnos release. These days of course, it's hard to come up with a 'new' angle on what ambient or electronic music should sound like, and a lot of the time, to my ears anyway, it pretty much sounds all the same. I don't have a problem with this as my criteria is as a listener, have the artists involved managed to do it as well or even better (ie more interesting than their predecessor). Which is somehow the way I approached this 'virtual' recording by Mike Griffin (Mr Hypnos to his friends) and some guy that calls himself A Produce (not familiar with his works). It's another one of those 'send the DAT across to me and I'll see what I can do with it' stories, and you know what? It's a winner. Altara is comprised of five pieces, mostly minimal and drone like beatless music, creating a deep hypnotic state within the listener. I've grown very fond of textural soundscapes over the years. This one has an added element, in that it is quite sensuous to listen to. This would also work effectively as an installation piece. A Produce plays synthesizers, and MG does the treatments and processes the overall sound. It's dark moody ambient music, and interesting enough to warrant repeat listening. I've dozed off to it on numerous occasions. In our habit of needing to categorize what we hear so it fits neatly into our own musical taste boxes, some people will hear it as space music, others will cry new age. Well maybe new age with balls. It doesn't really matter as long as you get a chance to hear this amazing piece of electronics. This will take you into other fascinating worlds within. Pauline Oliveros would of course refer to this as the act of Deep Listening. I mentioned before about doing something as well as those before you. The obvious predecessors which have molded A Produce seem to be Eno, Robert Rich, Jeff Greinke to name but a few. It's as good as anything these have come up with. I've been fortunate enough to have heard a lot of fantastic new material this year, and as ambient music goes this is an exciting release which should generate a lot of interest in the label. Timeless stuff. " "Just wanted to pass along my recommendation of the new Mike Griffin / A Produce release. Excellent, slow moving, dark ambient style. The first 4 tracks are in the 5-8 minute range, while the last cut, coming in at 36 minutes, tops the whole experience off. Great late night listening!" "This is a collection of 4 relativelly short and one long 36 minute piece. The opening track Overground sets the pace for what is to come in the next hour. In fact, every following track until the final one seems like a miniature and a small part of the big picture, which can be seen at the very end of this rewarding work. The last track, You Send Me the Message is a slowly moving, monochrome piece which leaves much room for the listener to intuitivelly choose his own path and drift away into space, given the chance to open the gateway to another dimension. What awaites you there is entirelly up to you. This is an immersion into our inner selves. Some will find peace and tranquility, others may feel uneasy, kind of like being surrounded by dark clouds along the way. This journey will eventually end, but the memory of Altara will linger on, keeping you company on those sleepless nights, when you are all alone, wondering what tomorrow brings." "Apparently, A Produce and M. Griffin have never met face to face. As their respective previous solo albums prove, both are highly-skilled, idiosyncratic ambienteers whom, I assume, share a mutual admiration for each other's work. This eventually led to an exchange of DAT tapes back and forth between Los Angeles and Portland, as the artists meticulously sculpted a new world of sound neither had visited before. My previous exposure to A Produce leads me to characterize him as a composer of the dreamier sort, while Griffin has steadfastly inhabited darker regions. Here, they encounter one another in some sonic limbo located in the place where light meets dark. Though each of the five pieces dovetail nicely into one another, there is something particulary engaging about the final, thirty-six minute drone, "You Send Me the Message", vaguely reminiscent of A Produce's "A Smooth Surface (Extended)" but now roughened up slightly and submerged in inkier depths. Drift music in the murkiest of waters, this collaboration is still a triumph of clarity of vision and purpose and as such, one of the best of the year." "Wow. That's my initial reaction to Altara, the eagerly awaited collaboration between two great ambient artists, A Produce and M Griffin. The year isn't quite done yet, but I can state without reservation that this will make my "best of" list for 1999. Slow and patient, yet exhilarating and exciting, Altara is a testament to what ambient music can and should be. Starting with "Overground," I am reminded of Steve Roach's The Magnificent Void. Like Roach's modern classic, this song strains the limits of the bass response of my speakers, even when listening on my PC. 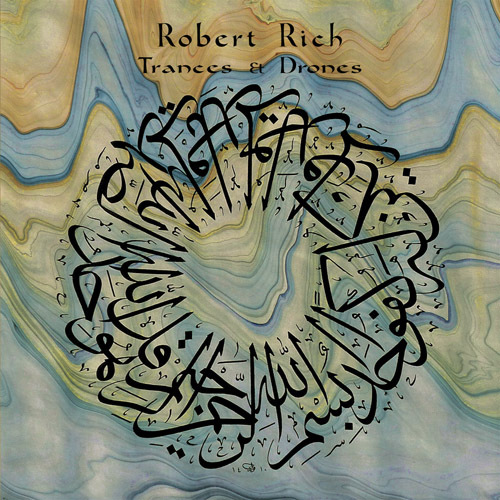 Sweet, simple drones float with the richest textures and timbres. 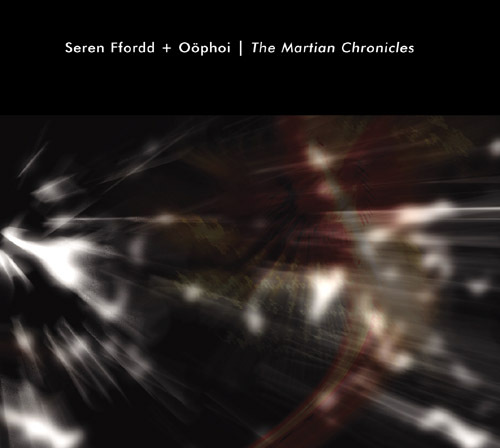 The title track transports the listener into deep space, ambience that echoes the sci-fi feel of Griffin's work with David Tollefson on the Viridian Sun CD Perihelion. A Produce's influence is evident on "Diffusion," which includes subtle percussive elements. The first time I heard this, I was laying down exactly centered between my living room speakers, and the effect was captivating. "Seek Nothing," originally intended as the title track, matches the moody calm of the rest of Altara, but seems slightly brighter. Though every track is essentially formless masses of sound, the shapes seem a bit more solid here, ironic considering the title. It is a perfectly placed momentary diversion, leading us to the pièce de résistance, "You Send Me the Message." Exemplified by this 36 minutes of exquisite ambience, Altara is the perfect balance between darkness and beauty."